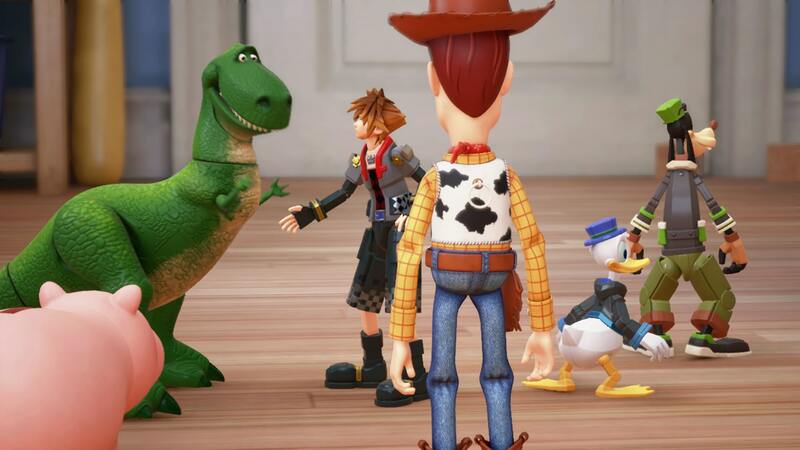 There’s a heck of a lot to do in Kingdom Hearts 3, from space battles, Keyblade forging and platforming, to photography and cooking. It’s cooking that we’re concerned with here, specifically where to get certain ingredients. In this Kingdom Hearts 3 Ingredients Guide, we’ll highlight which ingredients you can get in each of the worlds. We’ll also list all of the available ingredients featured in Kingdom Hearts 3, and take a look at the cooking recipes you can use them in. So Where Are the Rest of the Ingredients? 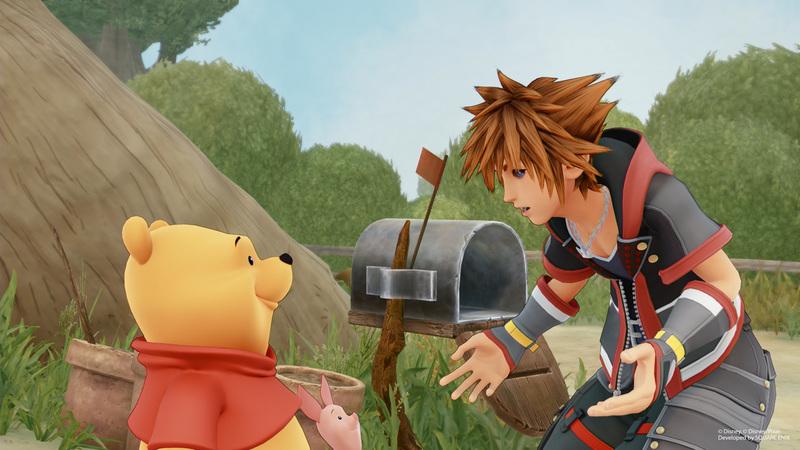 There are 59 different ingredients to find in Kingdom Hearts 3, which can be used in different combinations to cook recipes. The resulting dishes are used to boost certain stats, and can really make the difference later on in the game. You’ll find everything you need to know below. Our first stop on this culinary tour of Kingdom Hearts 3 is Olympus. 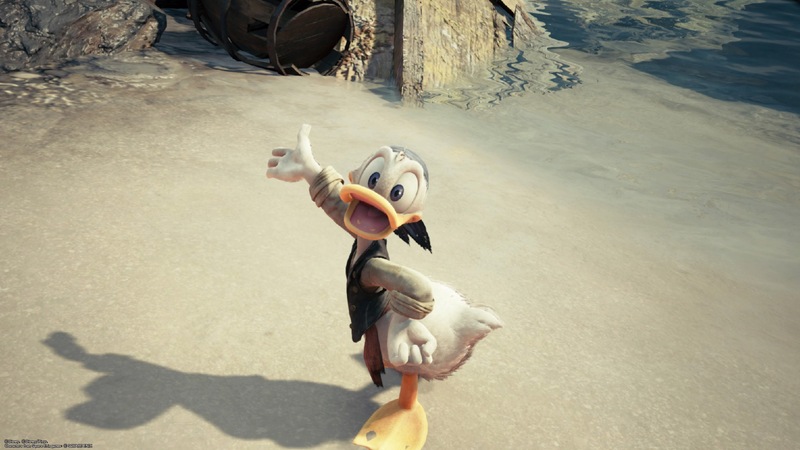 We’ve listed the Kingdom Hearts 3 Olympus Ingredients below. For a look at some of the spots you can get them from, check out our Olympus Walkthrough. 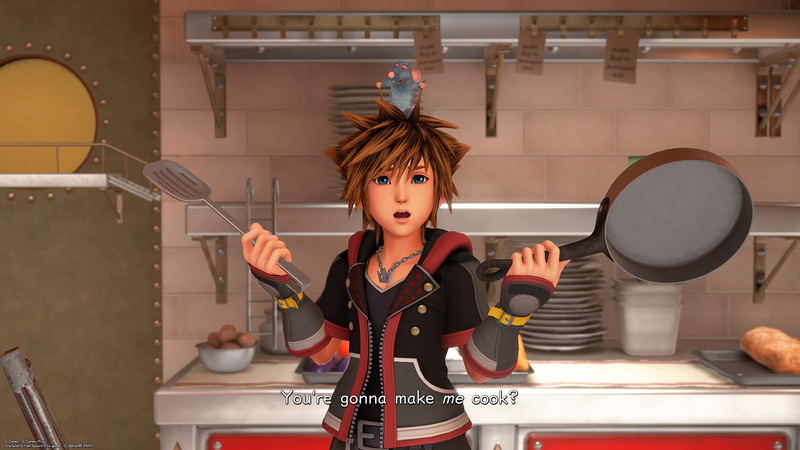 Next stop is Twilight Town, where the idea of cooking is actually introduced. This area is great because there is an objective where you must collect ingredients for Little Chef to use. We’ve listed what’s around below. For a look at where to find ingredients in Twilight Town, visit our walkthrough. It’s off to Toy Story world next, and there are plenty of ingredients to find. We’ve listed them all below, but for a look at exactly where to find some of them, check out our Toy Box Walkthrough. Tangled world is easily the best looking world in the game, and has some delicious ingredients to collect too. We’ve listed them all below, but for a look at how to make it through the level, head to our Tangled Walkthrough. Next up is Monster Inc. This area is fairly linear, making it easy to collect ingredients. 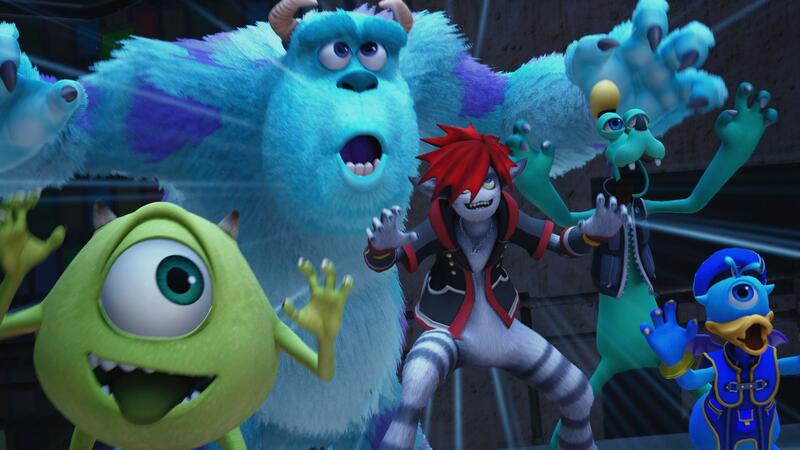 We’ve listed all of the ingredients that you can pick up in Monsters Inc below. For a more detailed breakdown of where to look, head over to our Monstropolis Walkthrough. Once Winnie the Pooh has shown his big yellow face, you can visit 100 Acre Woods whenever you want. If you do, you’ll find a bunch of ingredients. Let’s take a look. Sora and the gang head off to the Caribbean now, for a swashbuckling tale of swords and eyepatches. Here are the Ingredients you can find. The final world to take a look at is San Fransokyo. 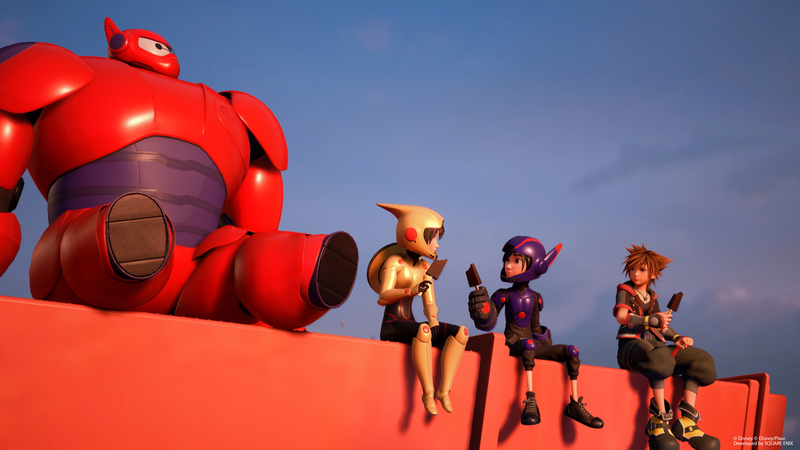 This is, of course, the Big Hero 6 world, and is home to a bunch of awesome ingredients. 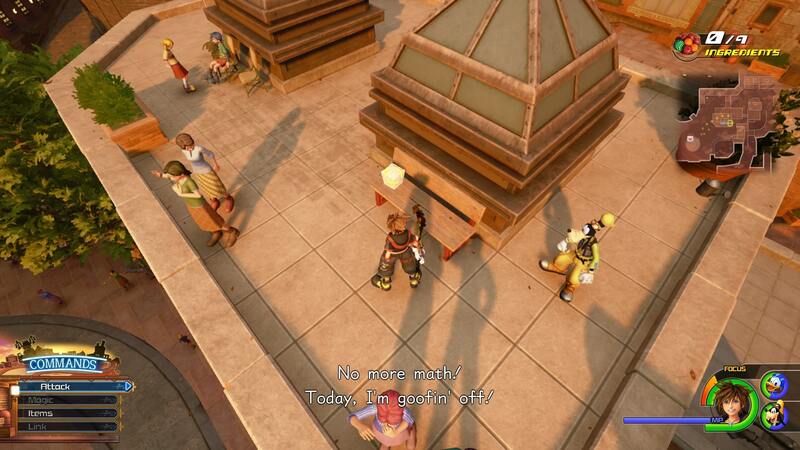 A large portion of the ingredients in Kingdom Hearts 3 are obtained from the Shop. They will be added as you progress through the game, so be sure to head in from time to time. Now that you know where to get all of the Ingredients in Kingdom Hearts 3, let’s take a look at what you can do with them. We’ve pulled all of the dishes you can make in Kingdom Hearts 3 below, alongside their recipes.